Each July, more than 130,000 fans of films, comic books, and television travel to Southern California for San Diego Comic-Con, one of the largest celebrations of pop culture in the country. 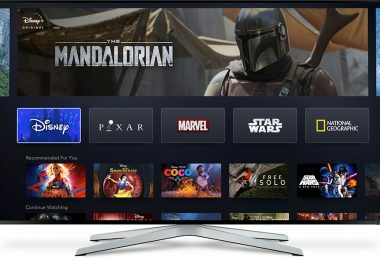 Disney, Marvel, and Lucasfilm have been there since the convention’s early years—Comic-Con celebrates 50 years in 2019—providing news about the latest Marvel comic books, previews of the newest Disney TV shows, and announcements about upcoming Star Wars films. As a matter of fact, in 1976, in a less-than-packed conference room, writers Roy Thomas and Howard Chaykin presented a preview of a still-unknown film called Star Wars, complete with slides on a projector screen. Little did the attendees know that they were witnessing the beginnings of one of the most successful film franchises in history. Comic-Con and Lucasfilm—as well as Marvel and Disney—have come a long way since then. 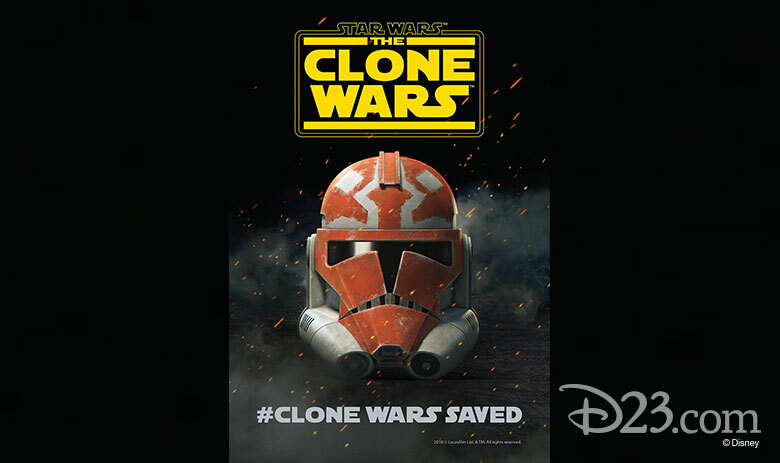 A quick look at this year’s program book, not to mention the convention floor, demonstrated the enduring power of Disney’s brands and the stories they provide. 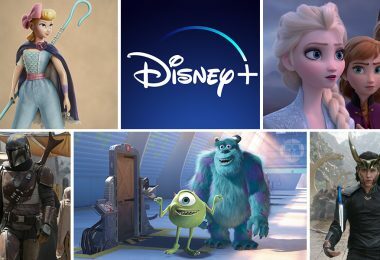 Here’s a roundup of some of the Disney highlights from this year’s San Diego Comic-Con. 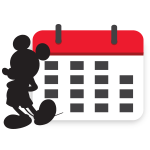 For the first time ever, D23: The Official Disney Fan Club hosted a panel at San Diego Comic-Con, and it was a big one, celebrating the mouse that started it all. 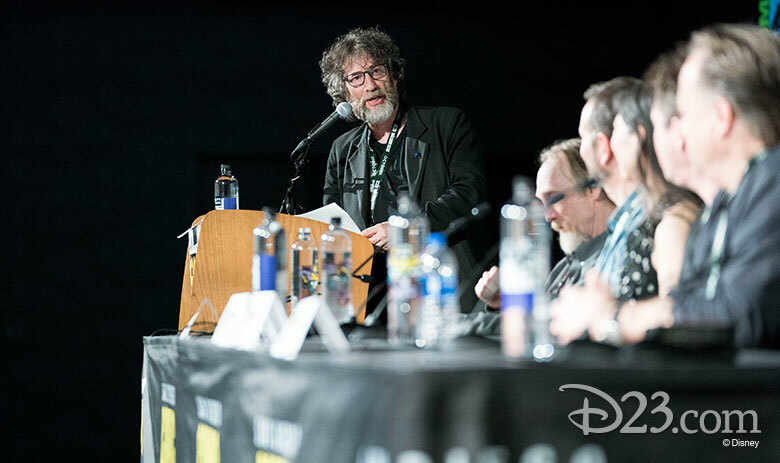 D23’s Justin Arthur hosted the panel, which included Bret Iwan (voice actor), Becky Cline (director, the Walt Disney Archives), and Mark Henn (Legendary Disney animator) commemorating 90 years of Mickey Mouse. 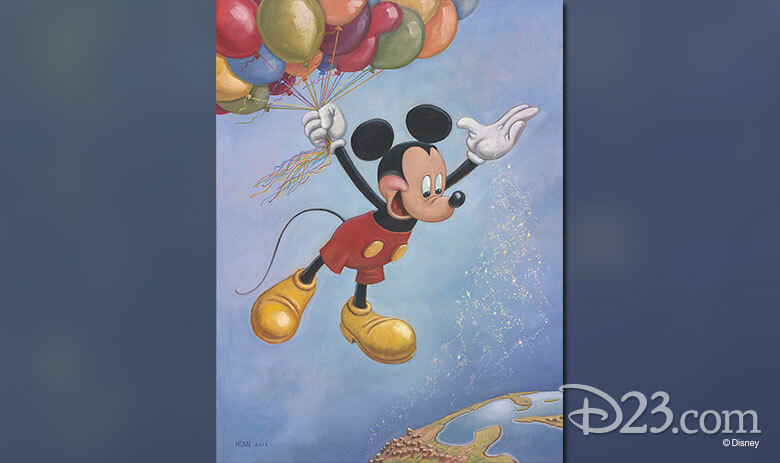 The highlight was the unveiling of the brand-new Mickey Mouse portrait by Henn. The popular author Neil Gaiman surprised excited fans as the host and moderator of D23’s special panel commemorating the 25th anniversary of Tim Burton’s The Nightmare Before Christmas. 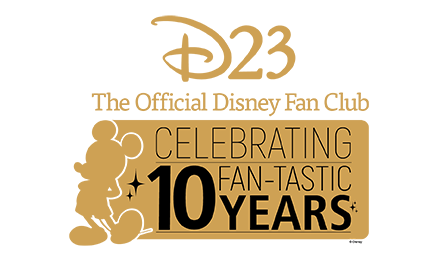 Joining Gaiman were assistant art directors Kelly Asbury and Bill Boes, associate editor Edie Ichioka, animator Anthony Scott, and director Henry Selick. 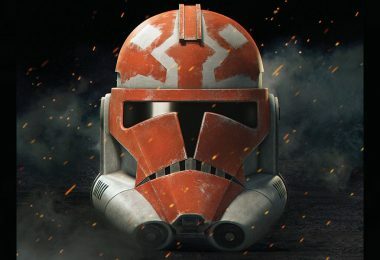 Dave Filoni, Lucasfilm TV animation executive producer & supervising director, celebrated 10 years of the Emmy Award®-winning Star Wars: The Clone Wars with an announcement that excited Star Wars fans the world over—a sixth season of Clone Wars will arrive on Disney’s upcoming direct-to-consumer streaming service. 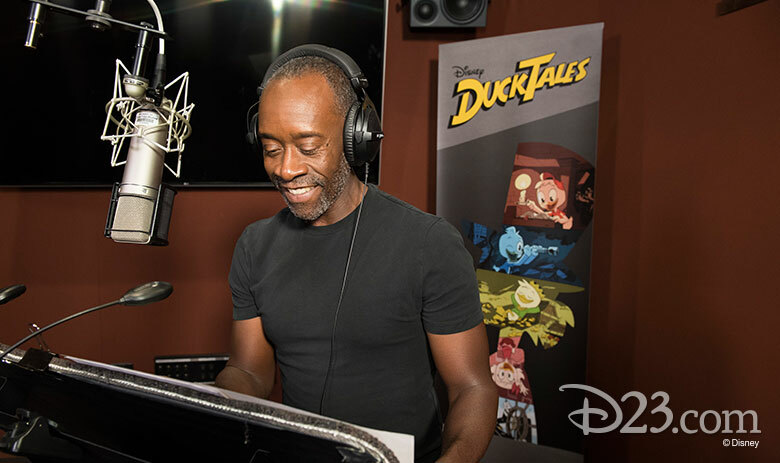 Hot off his portrayal of War Machine in Marvel Studios’ mega-blockbuster Avengers: Infinity War, Don Cheadle arrived in Duckburg for the biggest role of his life—the voice of Donald Duck in the season finale of DuckTales. The announcement came during the panel that featured executive producer Matt Youngberg, co-producer/story editor Francisco Angones, art director Sean Jimenez, and series stars Ben Schwartz (House of Lies, Parks and Rec), Bobby Moynihan (Saturday Night Live, We Bare Bears), Danny Pudi (Community, Powerless), Toks Olagundoye (Castle, The Neighbors), and Entertainment Weekly’s Marc Snetiker. The Three Caballeros Are Back! Don Cheadle’s Donald Duck wasn’t the only surprise during the DuckTales panel. It was also announced that The Three Caballeros will make an appearance in the second season of DuckTales. The characters were famously featured as the stars of Walt Disney’s 1944 movie of the same name. 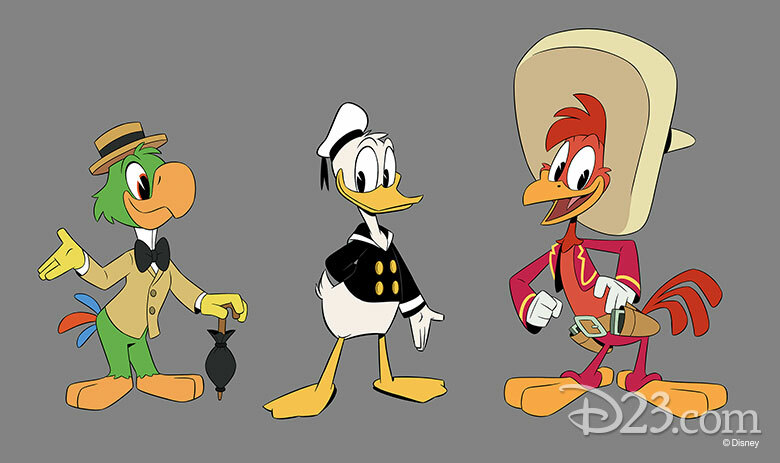 They will be voiced by Tony Anselmo (“Donald”), Bernardo de Paula (“Jose”), and Arturo del Puerto (“Panchito”). Marvel’s Cloak & Dagger, the popular and exciting new take on Marvel Super Heroes, featuring Olivia Holt as Tandy Bowen and Aubrey Joseph as Tyrone Johnson, officially announced in front of more than 4,000 screaming fans that a 10-episode second season has been picked up on Freeform. With executive producer/showrunner Joe Pokaski, the panel featured a lively Q&A moderated by executive producer and head of Marvel Television Jeph Loeb. 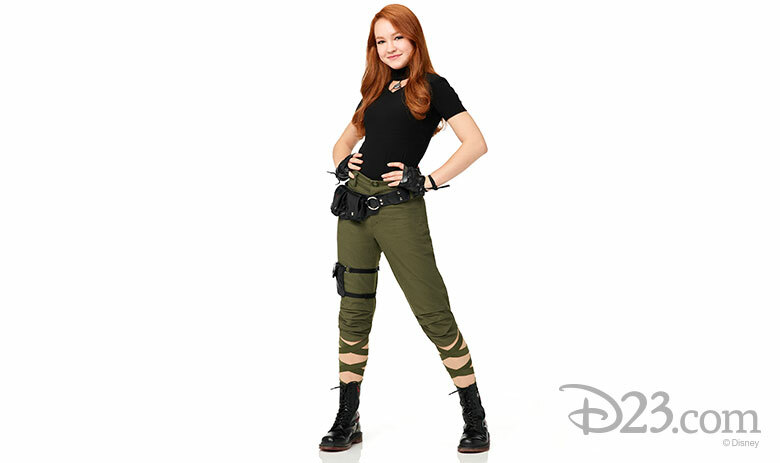 Kim Possible executive producers Mark McCorkle and Bob Schooley revealed the first photo of the iconic title character, as brought to life by actress Sadie Stanley in the upcoming Disney Channel Original Movie. The stars and executive producers from Freeform’s hit new drama series Siren made their San Diego Comic-Con debut with an amazing panel moderated by the ultimate Siren superfan and four-time GRAMMY® Award winner, iconic singer Chilli, best known as one-third of TLC, the best-selling American girl group of all time. 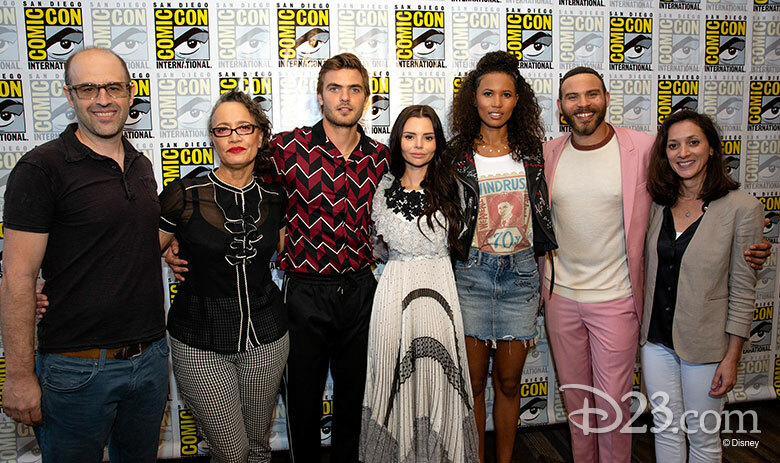 The panel—which premiered exclusive footage—included stars Eline Powell (Ryn), Alex Roe (Ben), Fola Evans-Akingbola (Maddie), Ian Verdun (Xander), and Rena Owen (Helen), along with executive producers Emily Whitesell and Eric Wald. Featuring Jeph Loeb, this panel offered a short teaser of new footage, which promised some surprises for season 2—namely, the addition of Typhoid Mary, a classic Marvel villain who has never been portrayed in live action before. Danny Rand (Finn Jones) is Iron Fist, who this season will be up against his estranged brother Davos (Sacha Dhawan), who becomes the comic book character Steel Serpent. The cast and creative team of Disney Channel’s Big Hero 6: The Series received a heroes’ welcome at San Diego Comic-Con. 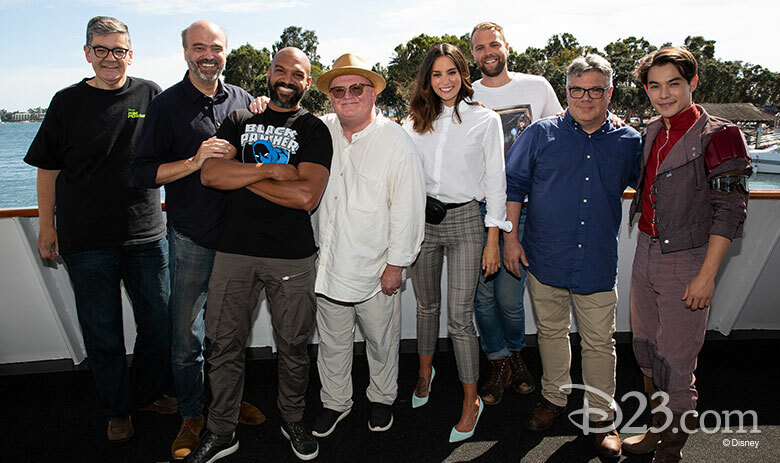 Stars Ryan Potter (Hiro), Scott Adsit (Baymax), Jamie Chung (Go Go), Khary Payton (Wasabi), Genesis Rodriguez (Honey Lemon), and Brooks Wheelan (Fred) were joined by executive producers Mark McCorkle, Bob Schooley, and Nick Filippi, in a panel moderated by Entertainment Weekly’s Marc Snetiker. In addition to some action-filled, never-before-seen footage from the series, fans were also treated to the introduction of Mini Max, a tinier version of Baymax! 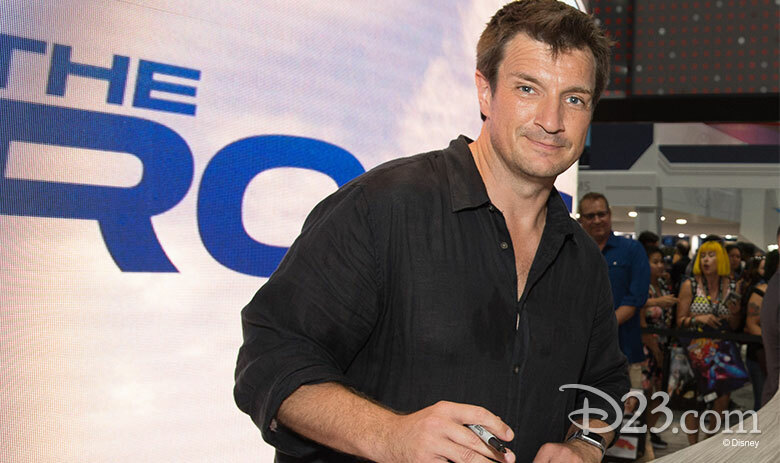 ABC brought the star power to Comic-Con with talent from some of the network’s most popular series. Actors who appeared included Lana Parrilla (Once Upon a Time), Forrest Wheeler (Fresh Off the Boat), John Ross Bowie and Cedric Yarbrough (Speechless), and Fred Savage (Child Support). 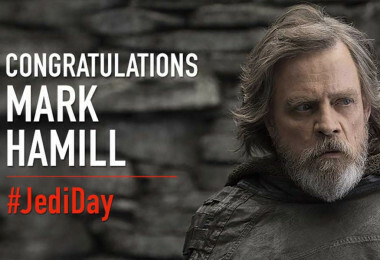 Additionally, fans were able to meet cast members from Marvel’s Agents of S.H.I.E.L.D., including Ming-Na Wen, Chloe Bennet, Iain De Caestecker, Elizabeth Henstridge, Natalia Cordova-Buckley, Henry Simmons, and Jeff Ward, and executive producers Jeff Bell and Jeph Loeb. Also appearing were Lauren Cohan and Tyler James Williams, stars of the upcoming drama Whiskey Cavalier, along with Nathan Fillion from the upcoming The Rookie. And the ever-popular stars of The Goldbergs were also there: Wendi McLendon-Covey, Jeff Garlin, Hayley Orrantia, Sam Lerner, and AJ Michalka. 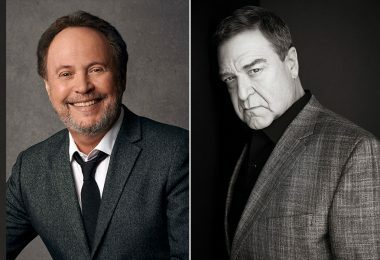 AJ also stars in the upcoming The Goldbergs spin-off, Schooled, which is set in 1990-something and follows the teachers of William Penn Academy. 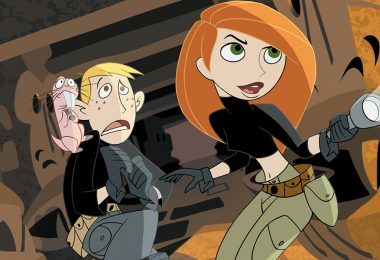 In addition, ABC offered exclusive merchandise from such series as Alias, Blossom, Dinosaurs, Grey’s Anatomy, The Golden Girls, Home Improvement, Once Upon a Time, Scrubs, and Schoolhouse Rock! Ashley Eckstein has been a fan (and friend!) of Disney for most of her life. 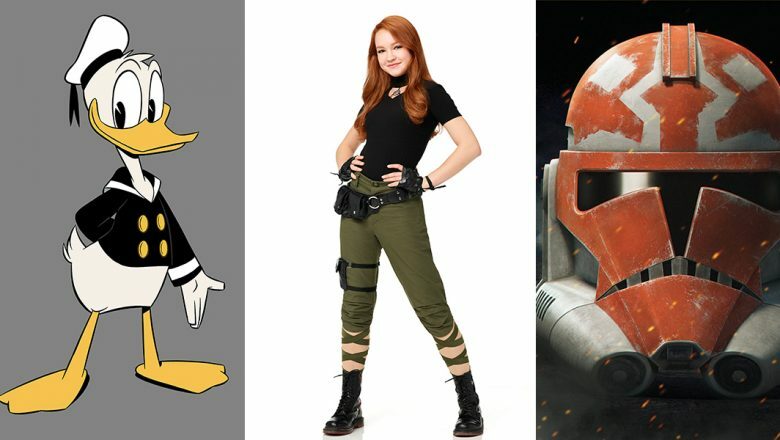 As the voice actress behind Ahsoka Tano from the Disney XD series Star Wars: The Clone Wars, Star Wars Rebels, and Star Wars Forces of Destiny—not to mention her recurring role as Muffy on the Disney Channel show That’s So Raven—Eckstein has a deep appreciation for the Disney brand. This year, she discussed her new book It’s Your Universe: You Have the Power to Make It Happen in addition to hosting her annual Comic-Con fashion show showcasing her clothing line, Her Universe. At the show, Eckstein revealed the first-ever couture Funko Pop! Dress, inspired by the wacky, whimsical Tim Burton’s The Nightmare Before Christmas.